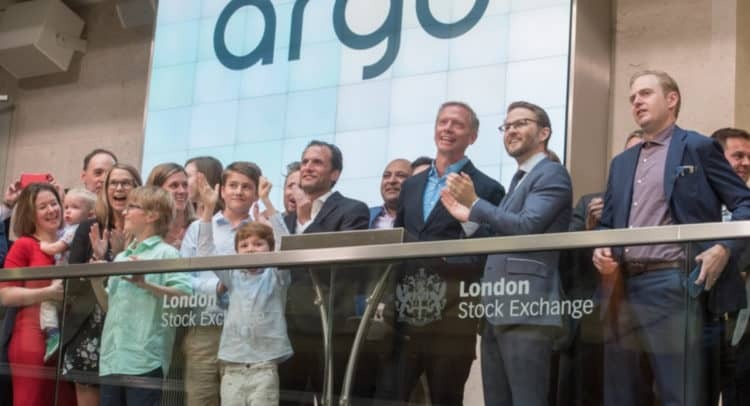 Argo, a UK-based provider of cryptomining services, is pleased to announce that its ordinary shares of £0.001 each (Ordinary Shares) have been admitted to the standard segment of the Official List and to trading on the Main Market of the London Stock Exchange, following a successful placing of Ordinary Shares to raise £25m before expenses for the Company. 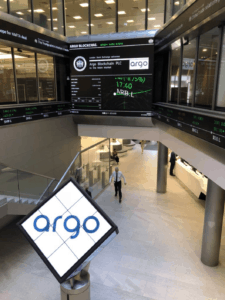 First dealings in the Ordinary Shares are due to commence at 8am today under the ticker symbol ARB, making Argo the first cryptomining services provider to join the London stock market. Mirabaud Securities Ltd acted as the sole bookrunner and stock broker to the Company. 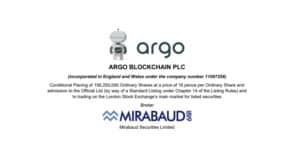 The Company’s prospectus published in connection with its listing is available on the Company’s website at www.argoblockchain.com/prospectus and on the National Storage Mechanism.